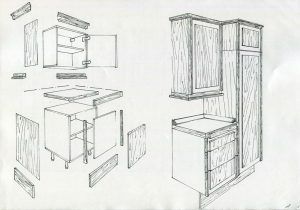 To design and graphically articulate the foundation range of fitted domestic kitchen furniture utilising fabricating facilities presently available to the user company with consideration to buying in subcontracted components or buying machinery to manufacture the elements or details finally specified. The user company has carried out research into the market they intend to approach and has defined the USA as its intended target, being specific to certain areas. 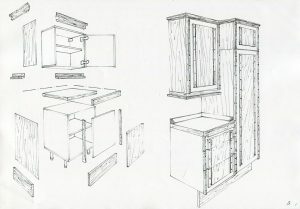 Investigation has implied that wood finish kitchens are only available in the form of up-market, bulky and expensive raised and fielded panelled doors or the down-market laminated finish with wood trims. 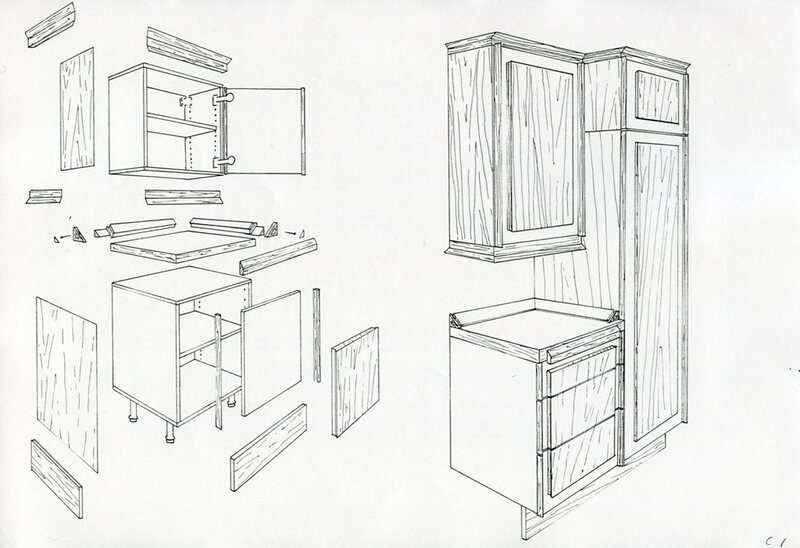 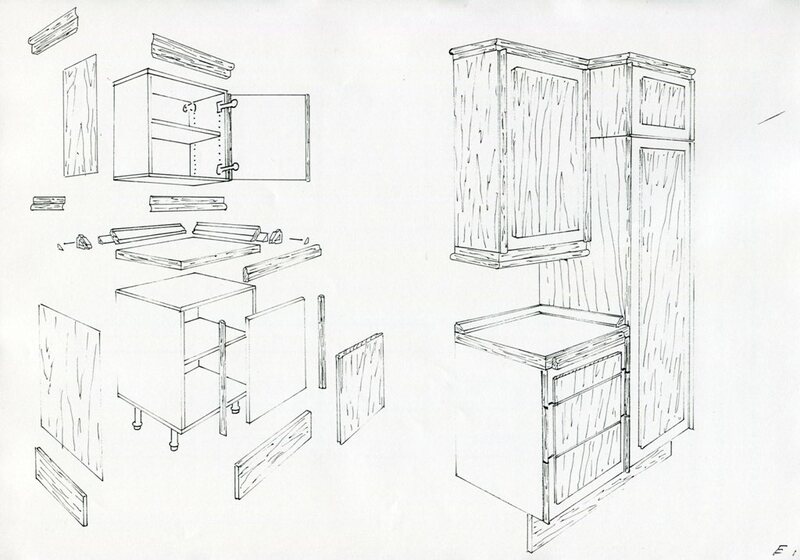 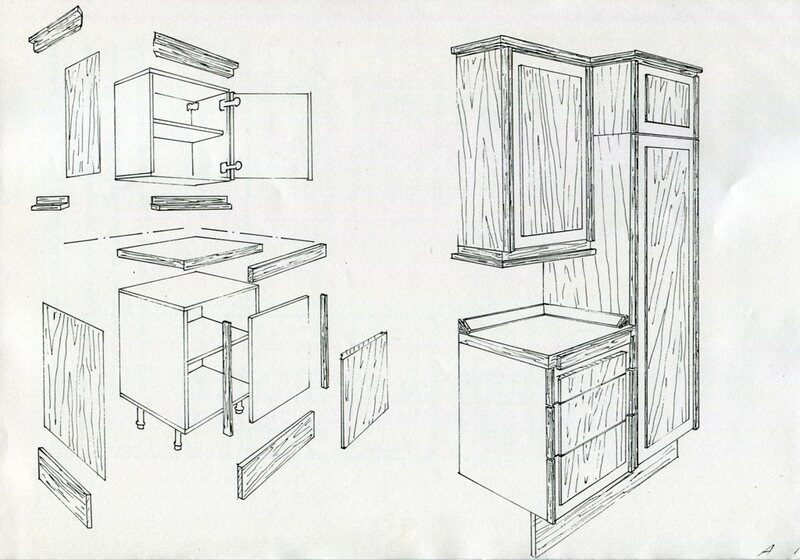 Drawings and dimensions used in the project have all been addressed to an imperial increment identified as being used to the USA kitchen carcass manufacturers. 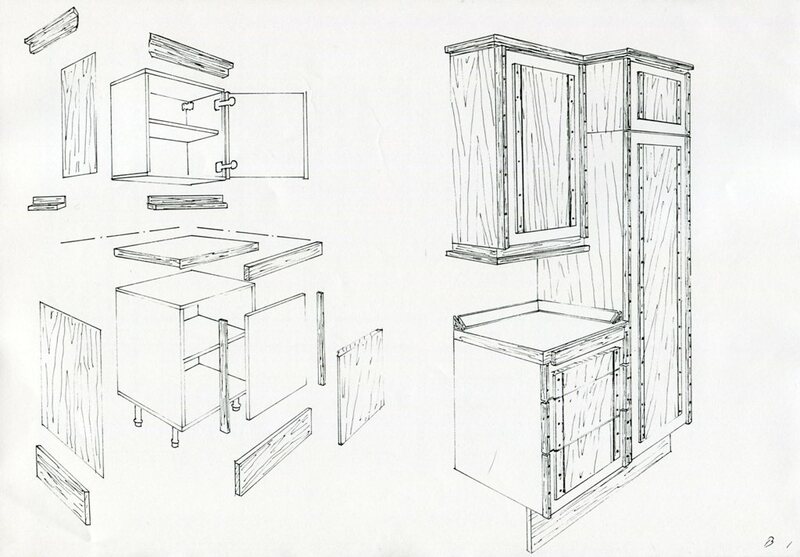 Originally the user company’s objectives were to approach the dealers presently trading in the above ranges with a new and original range that crosses the bridge between the two, offering a wood finish, middle market, European kitchen range. 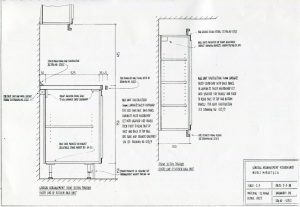 This objective has now developed into the user company establishing its own marketing company selling the range in addition to others it has developed under the umbrella of one retail concept first to be established in the UK. 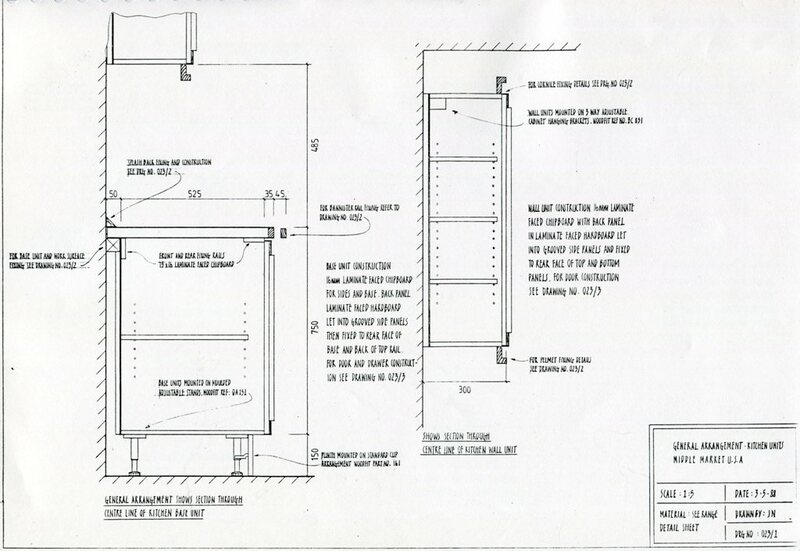 With respect to the range developed in accordance to the original terms of reference the objectives remain the same. 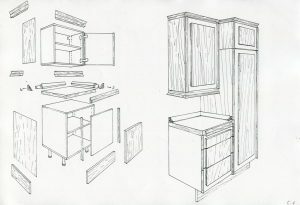 The range will in essence conform to the known standard sizes of American fitted kitchen furniture but will utilise all the existing European board technology and furniture fittings. 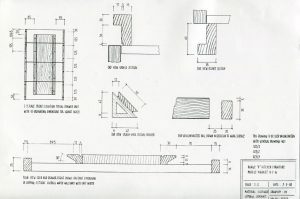 At this stage although implied in the terms of reference consideration to the possible packaging and presentation of the range to the dealers (own retail concept) will only be appropriate after further involvement in the project and is seen as the basis for future associations between the user company and the contractor. 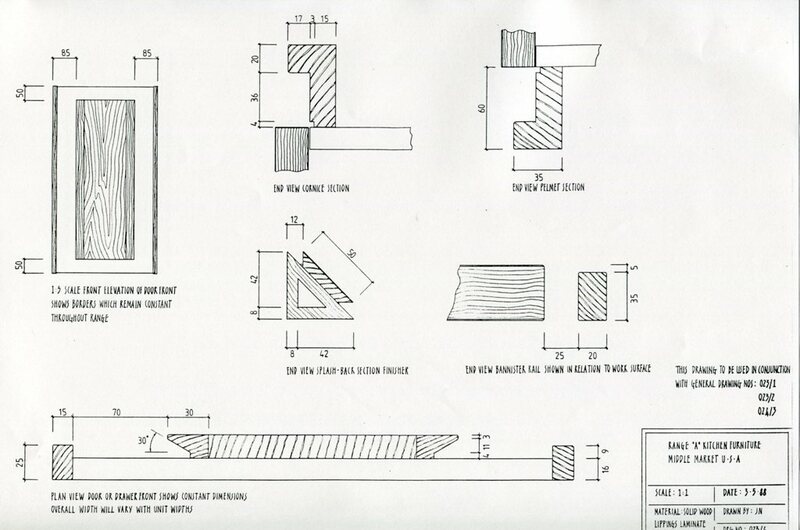 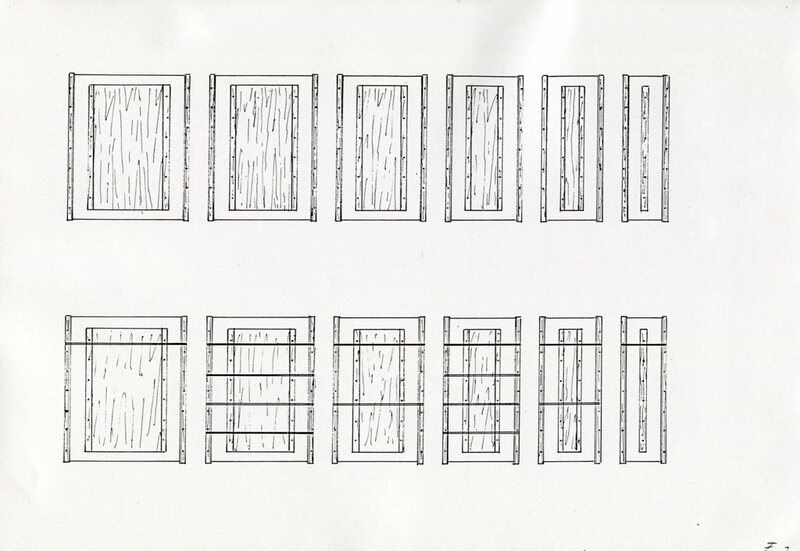 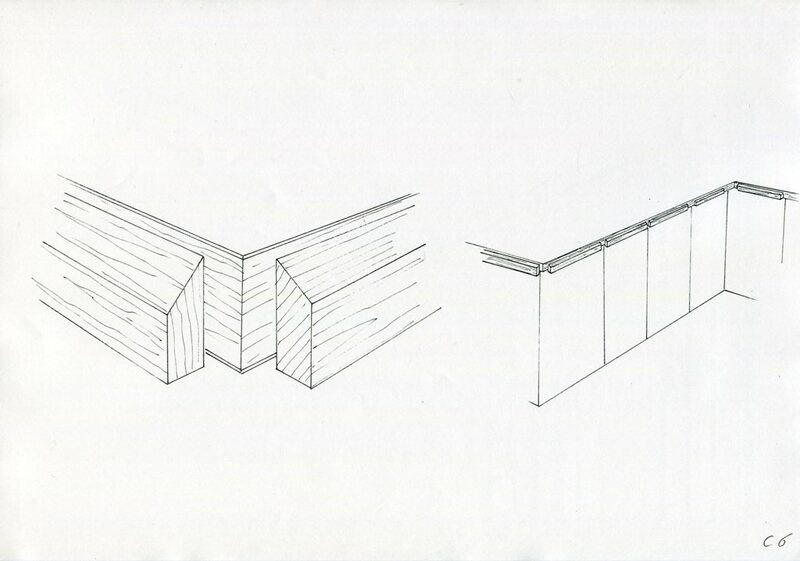 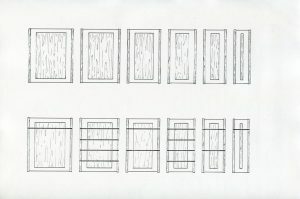 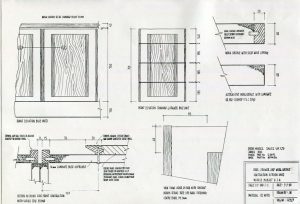 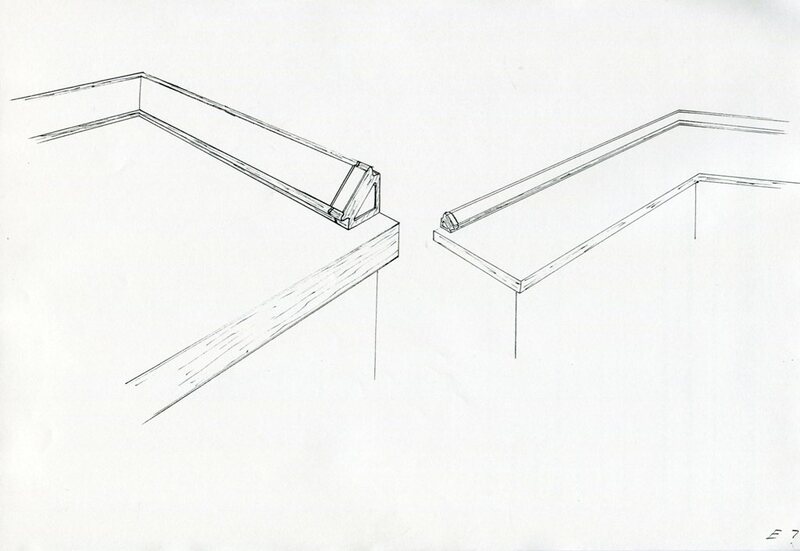 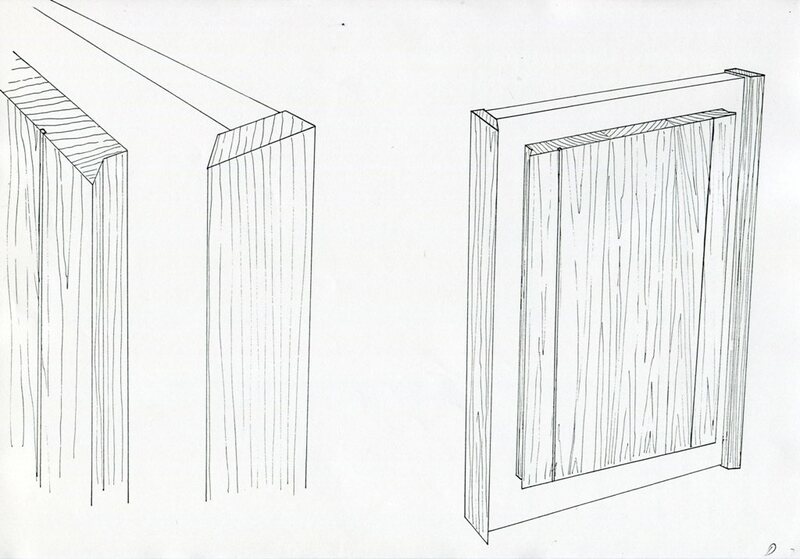 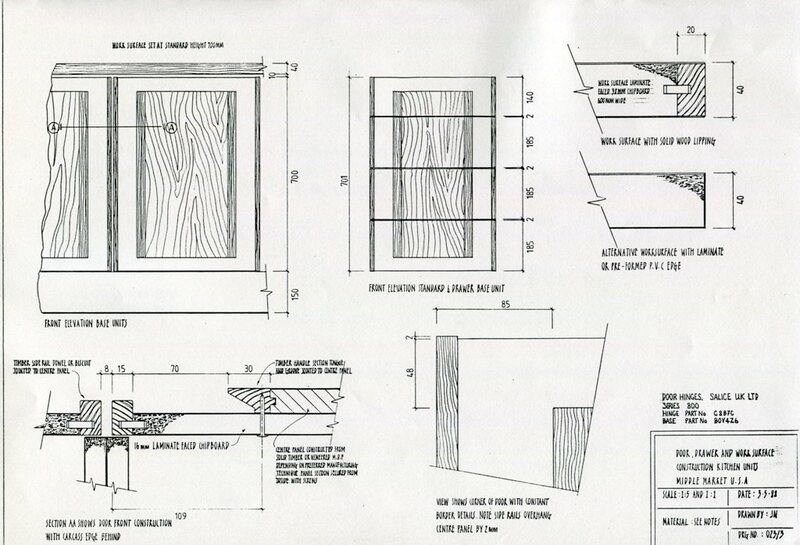 Sketch designs for the door details, cornice, light baffles, back splash, worktops, drawers and plinths were presented to the principals of the user company and the feasibility and acceptance of the proposed designs was established. 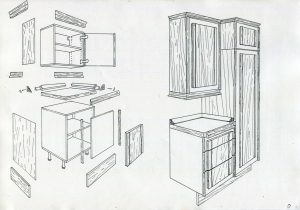 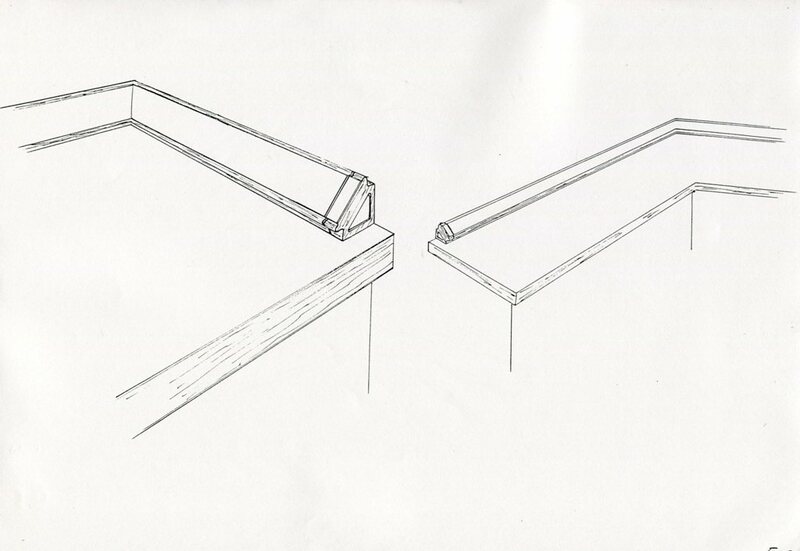 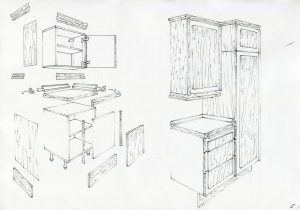 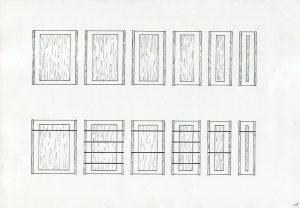 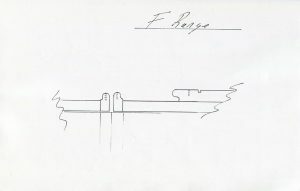 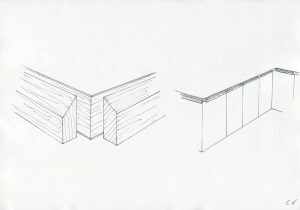 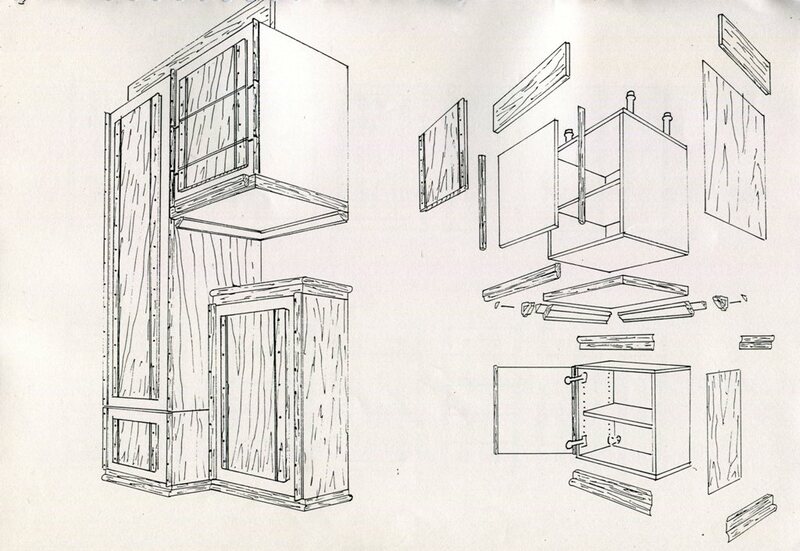 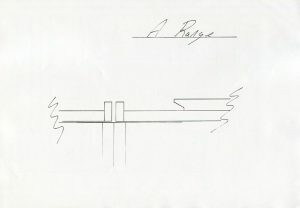 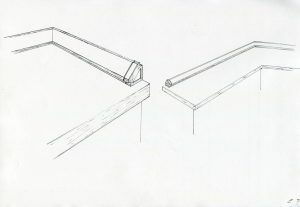 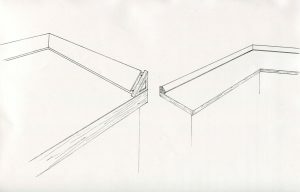 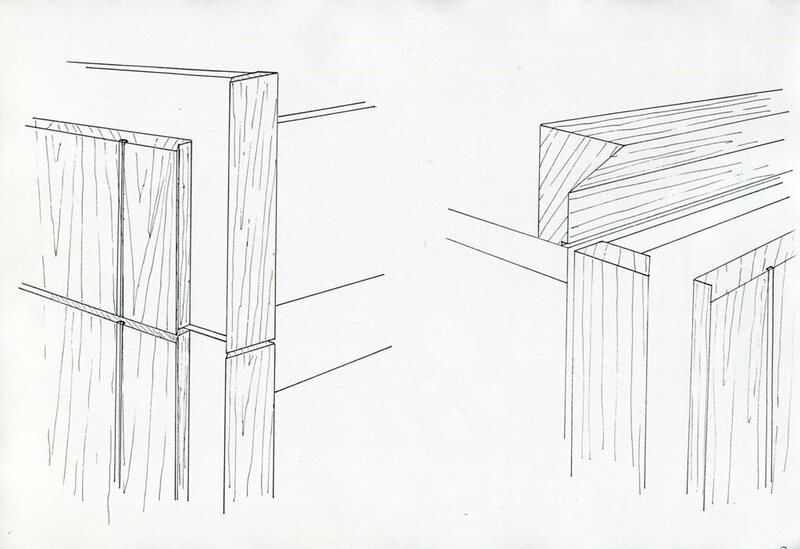 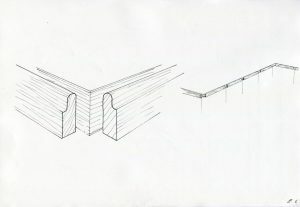 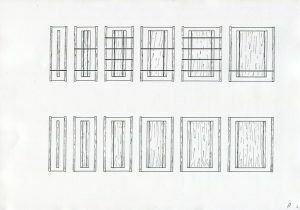 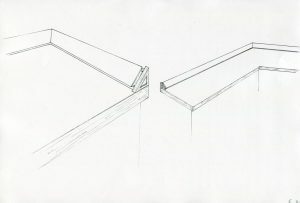 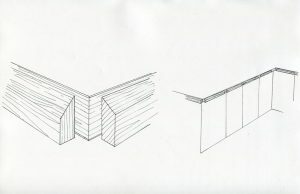 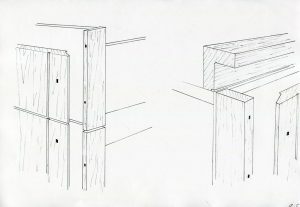 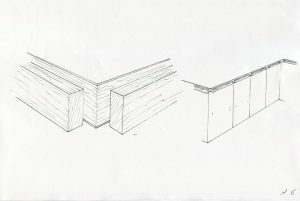 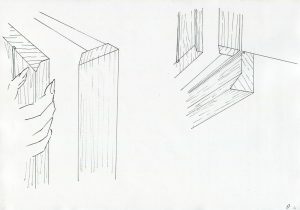 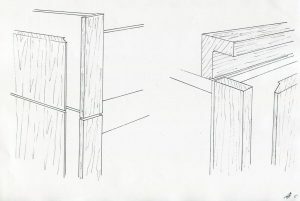 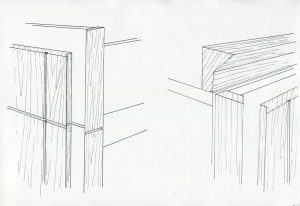 The sketches indicated a design solution for all the elements that form a fitted kitchen’s appearance and although each of the ranges A.B.C.D.E.F were different, the essence of their manufacturing processes and structure were the same., achieving the possibility of numerous variations around a basic construction theme. 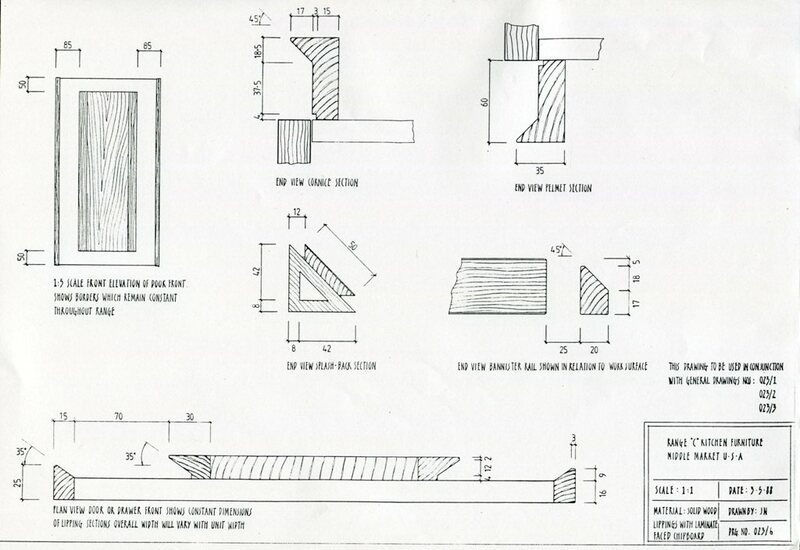 Prototyping will determine for the user company final ranges to be marketed and the limit of format offered. 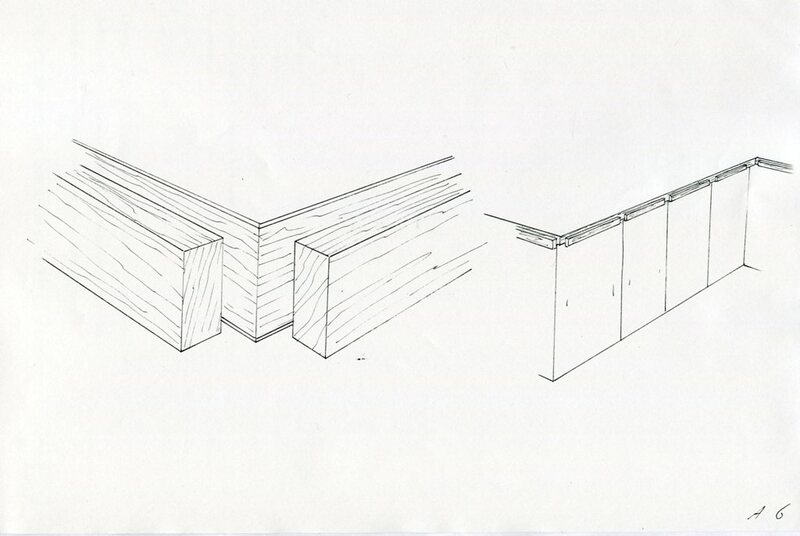 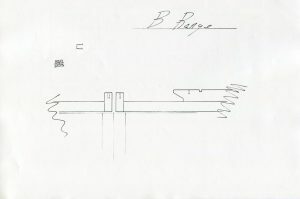 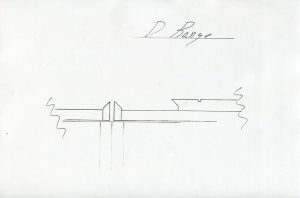 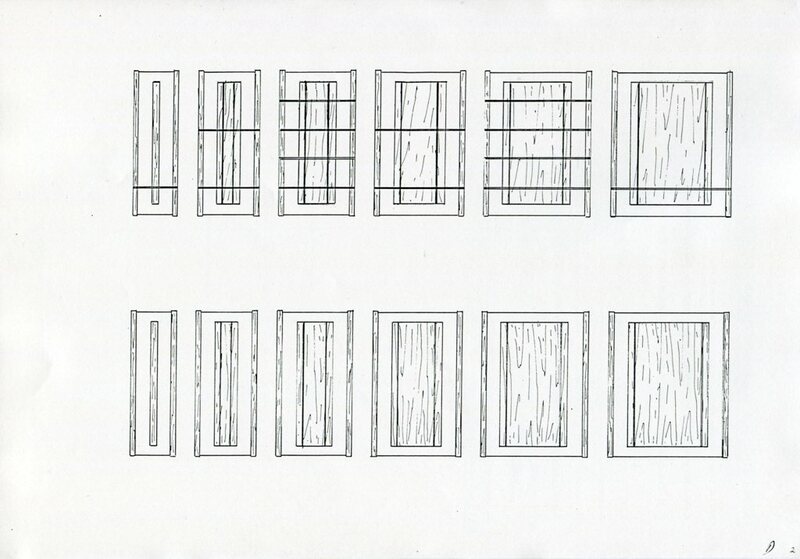 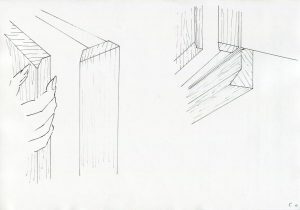 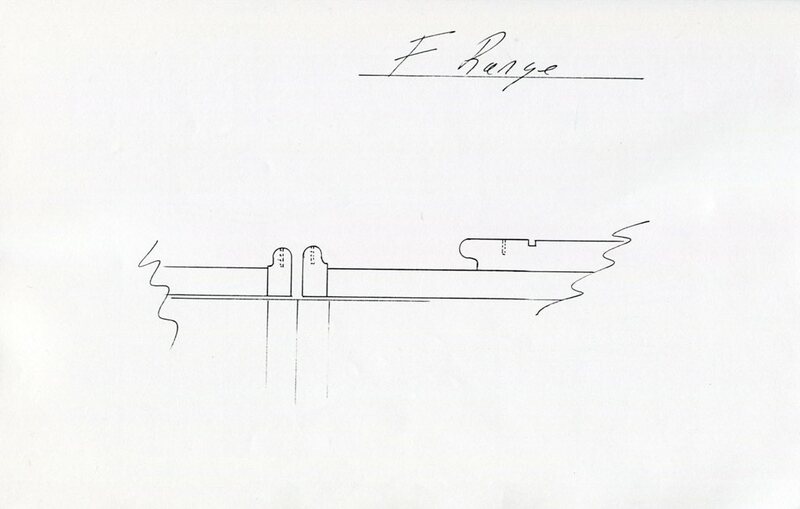 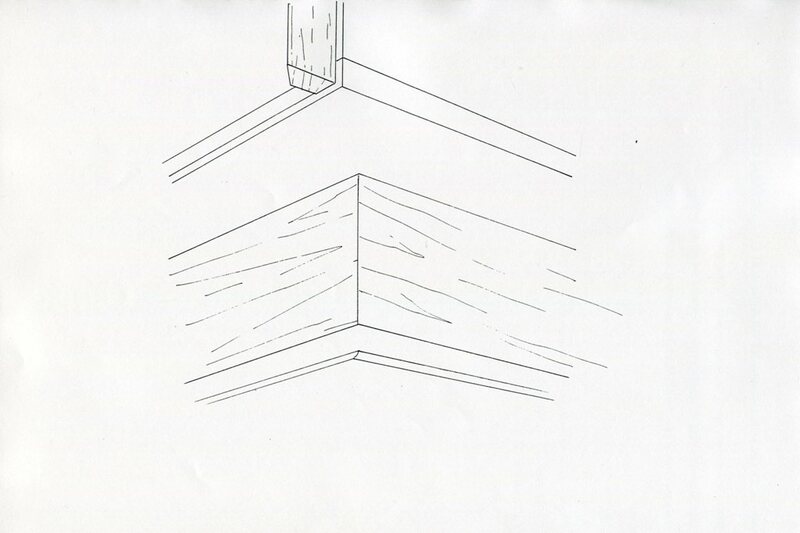 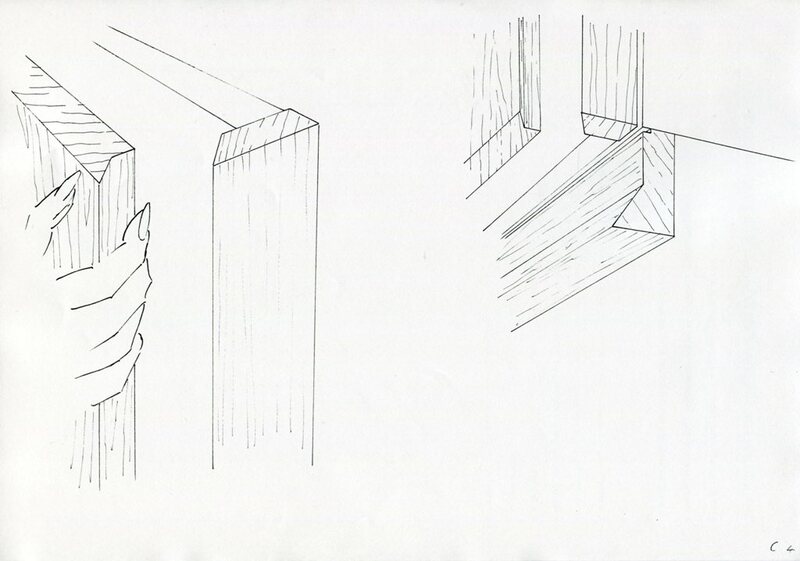 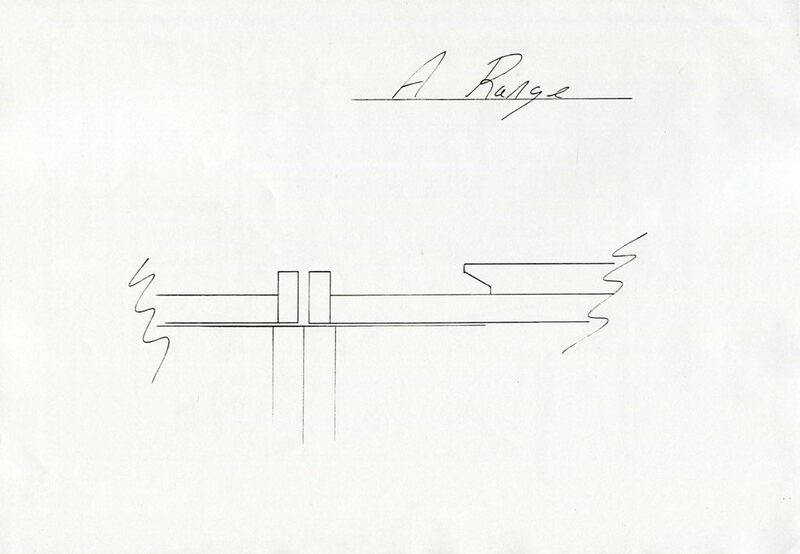 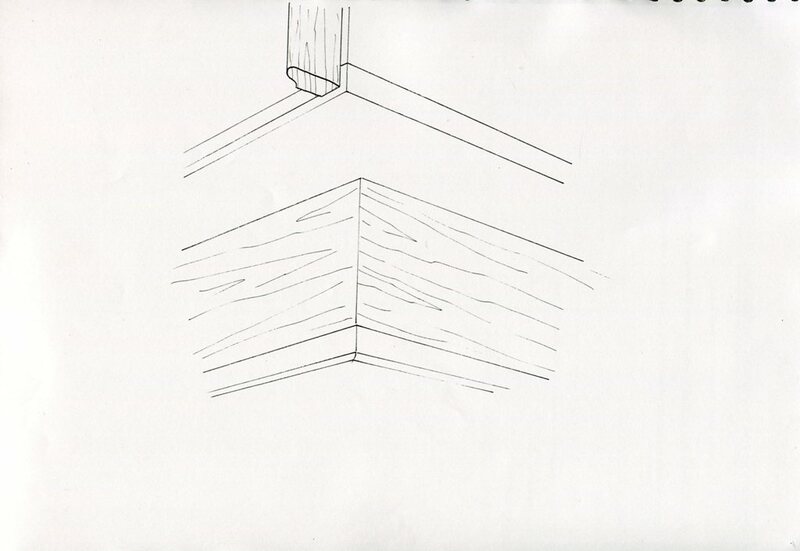 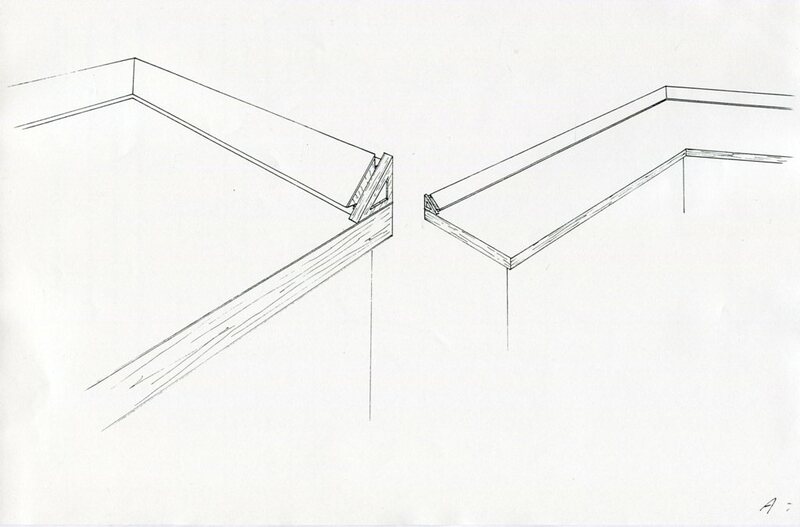 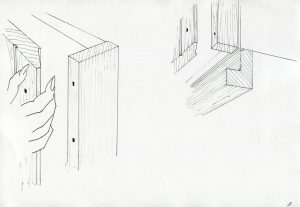 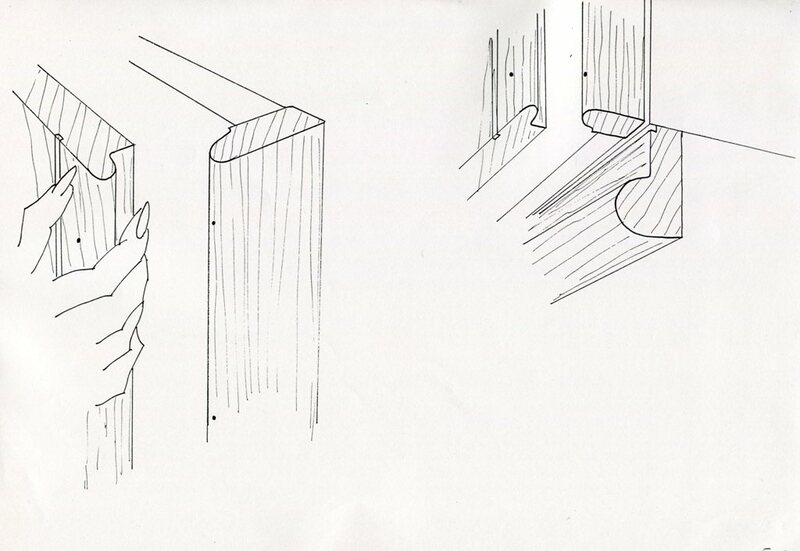 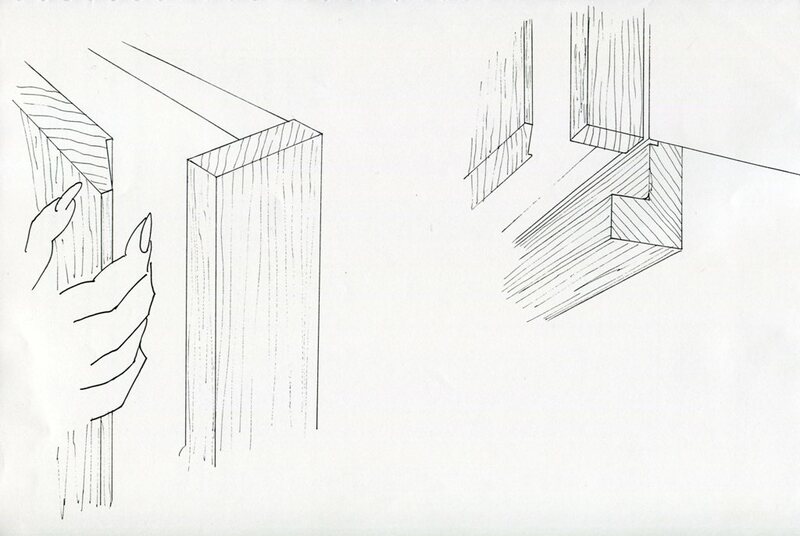 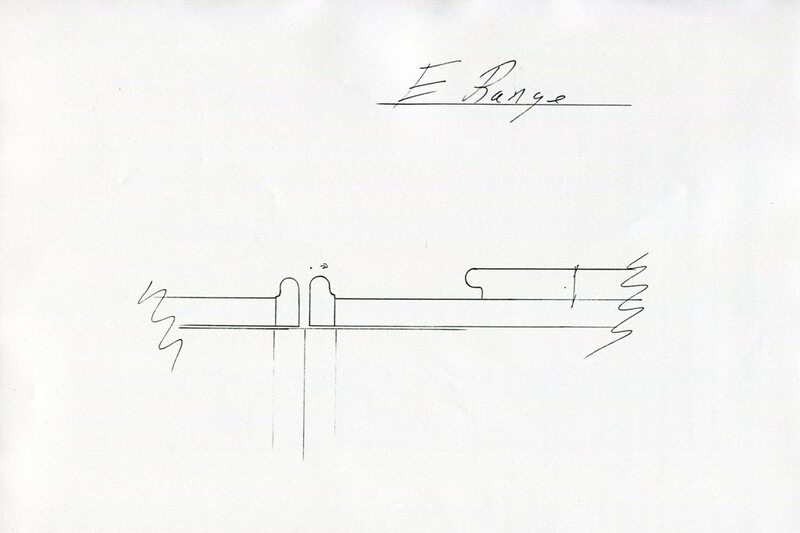 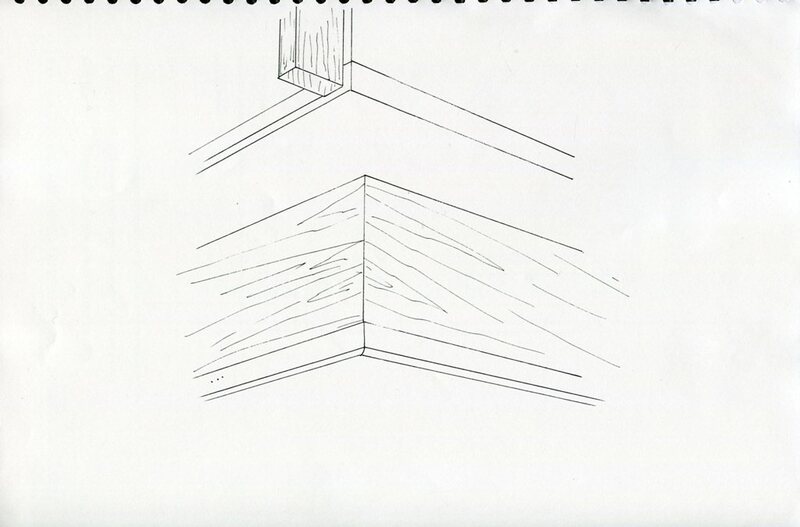 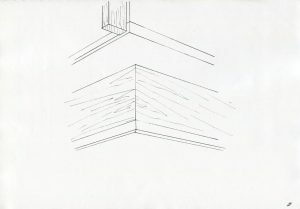 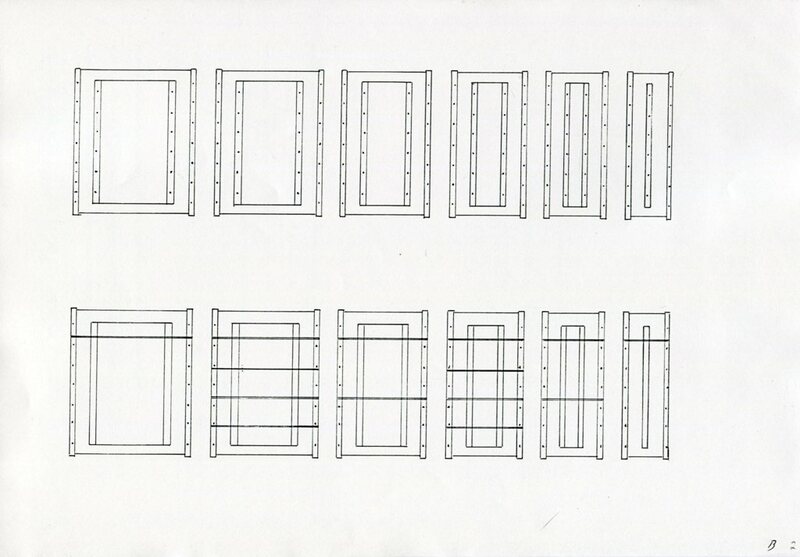 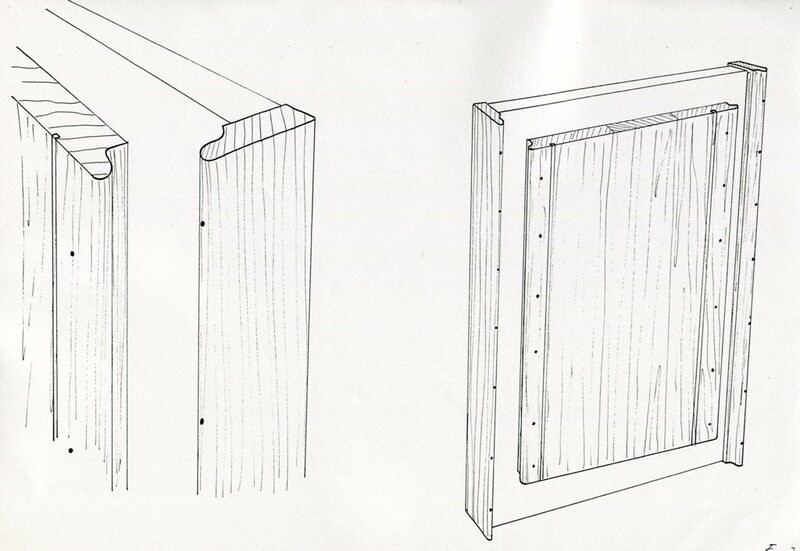 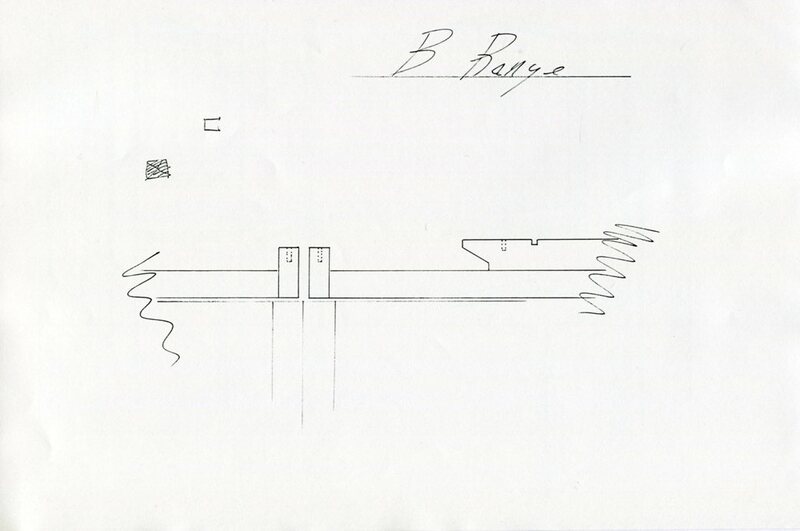 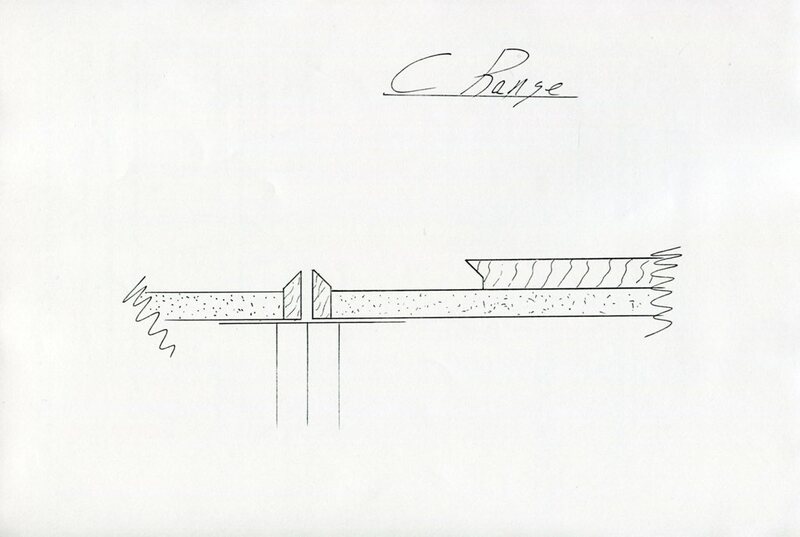 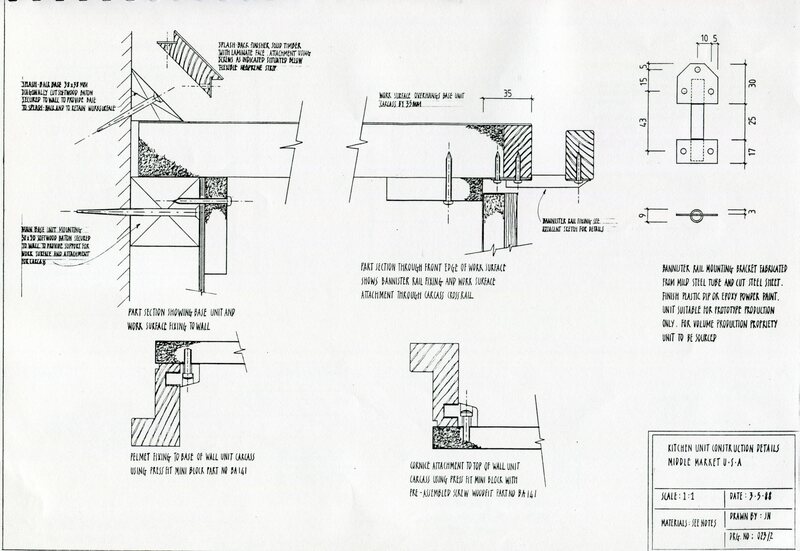 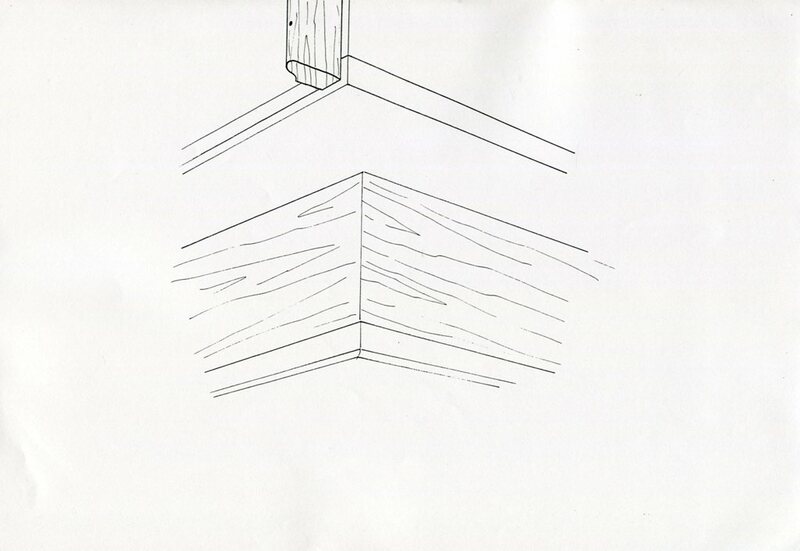 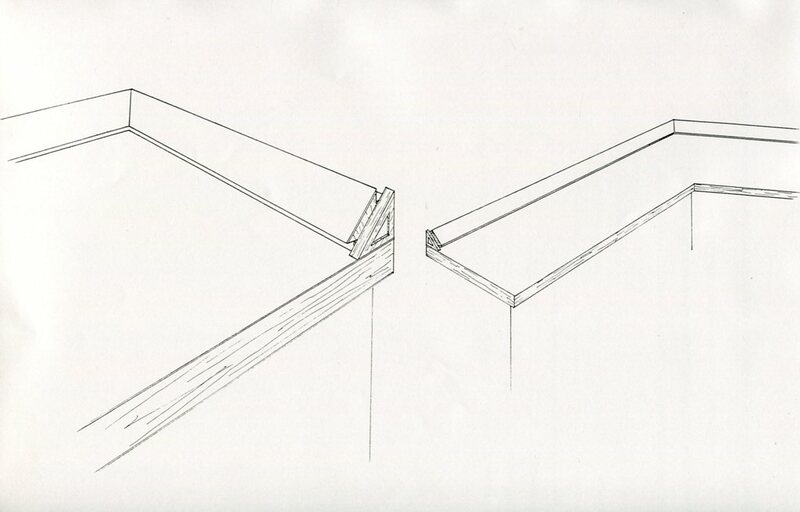 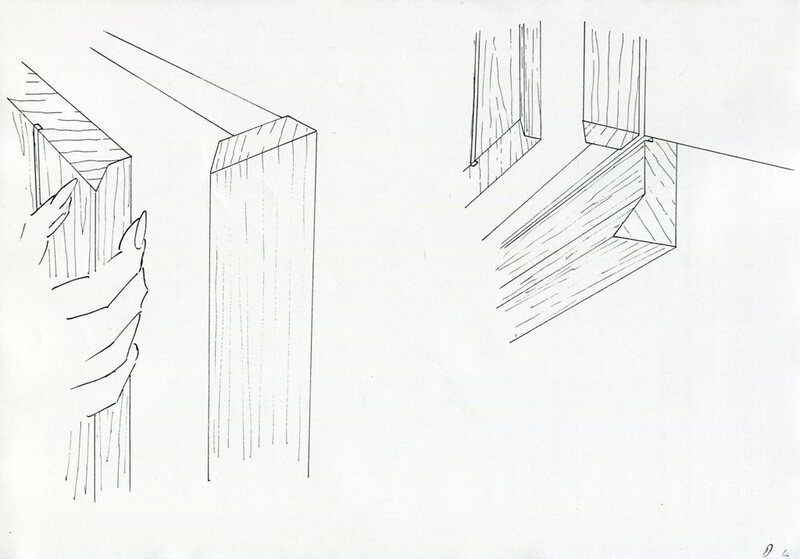 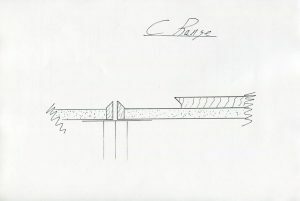 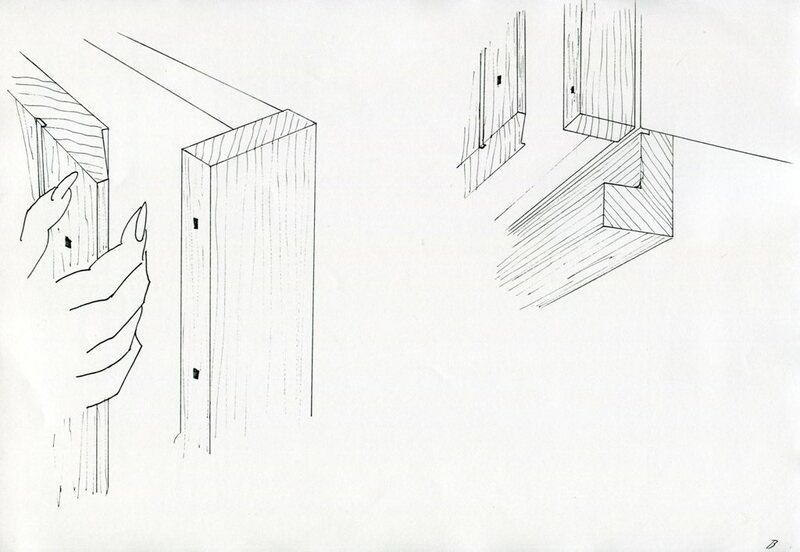 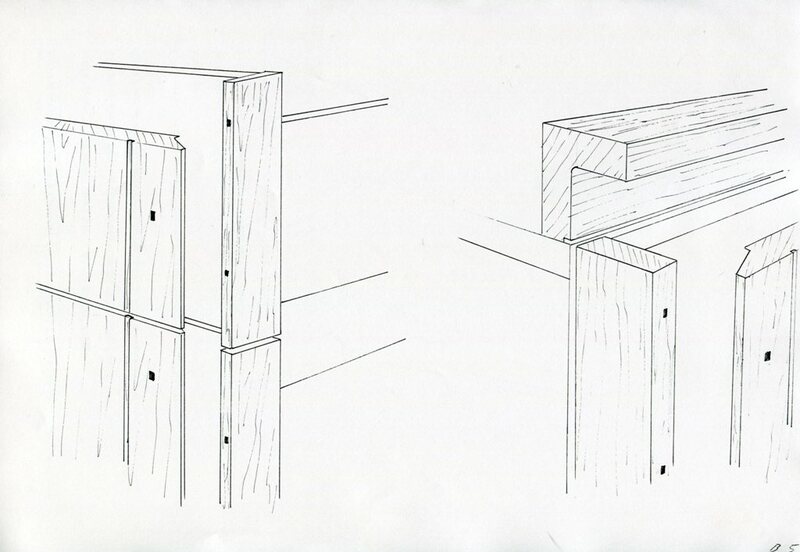 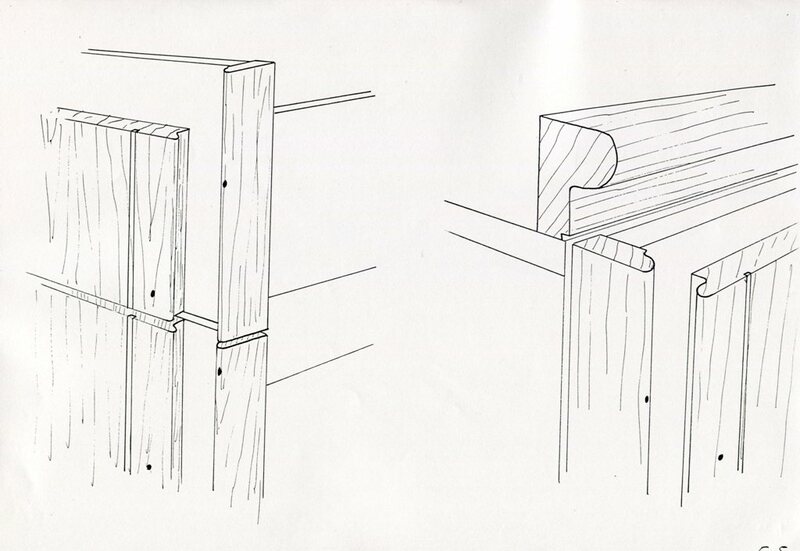 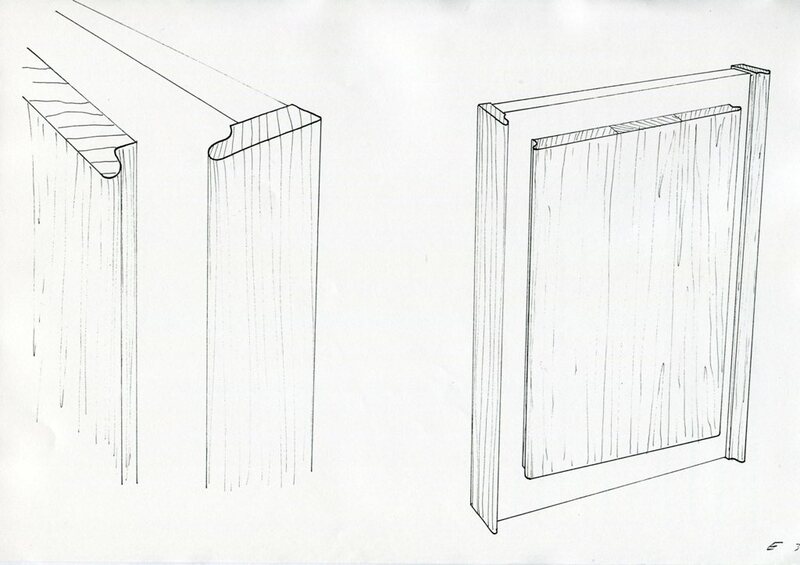 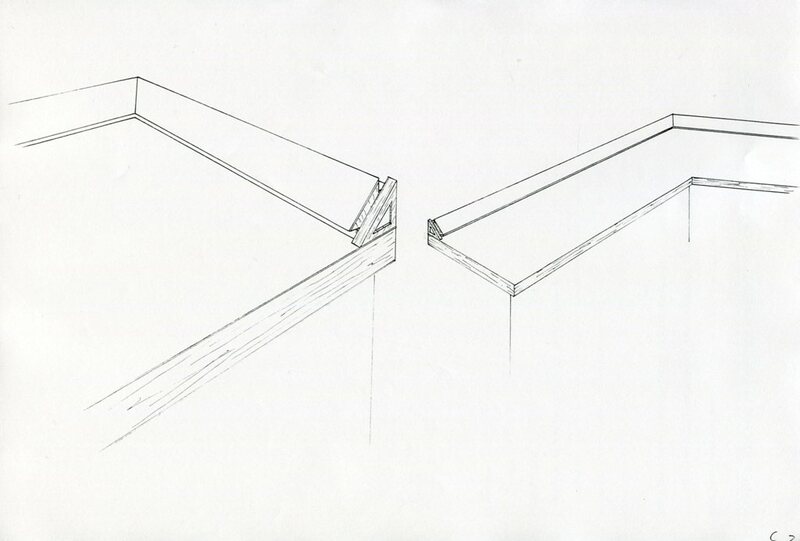 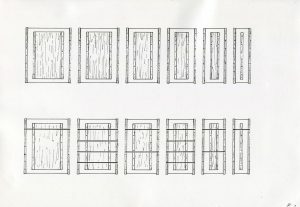 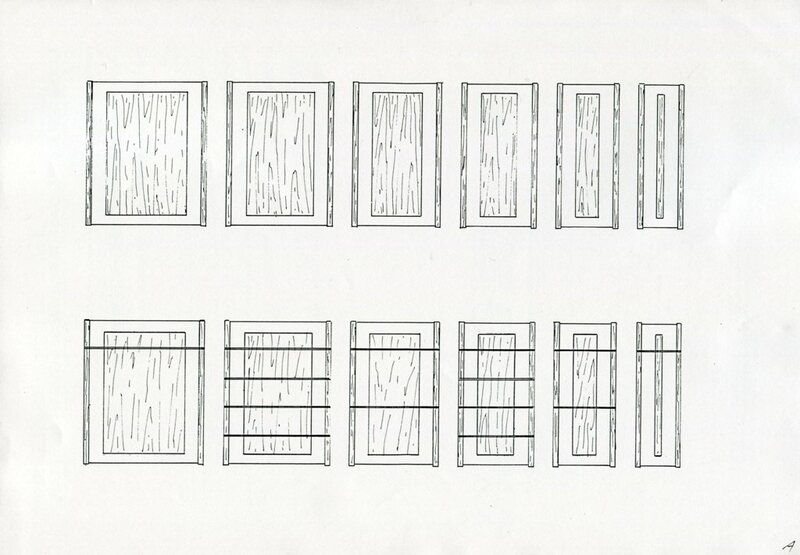 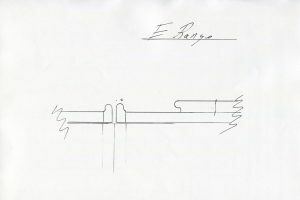 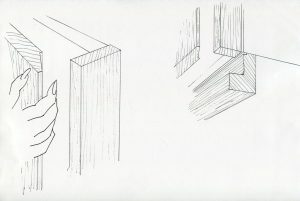 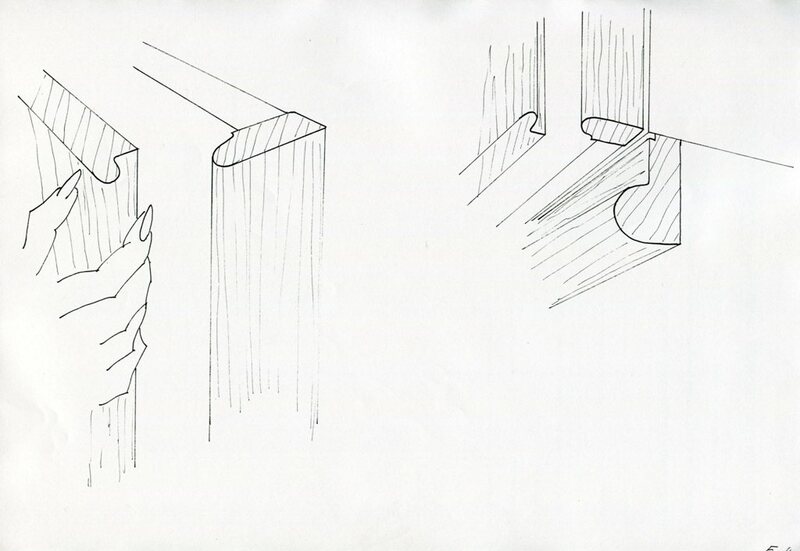 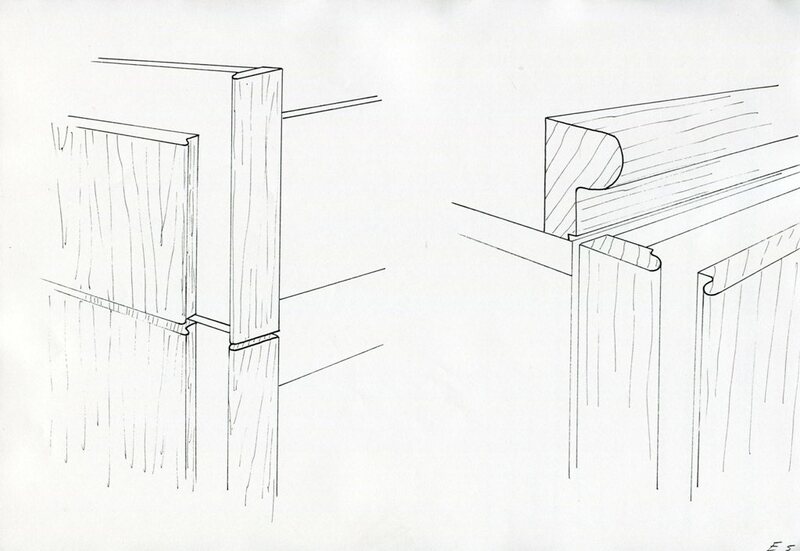 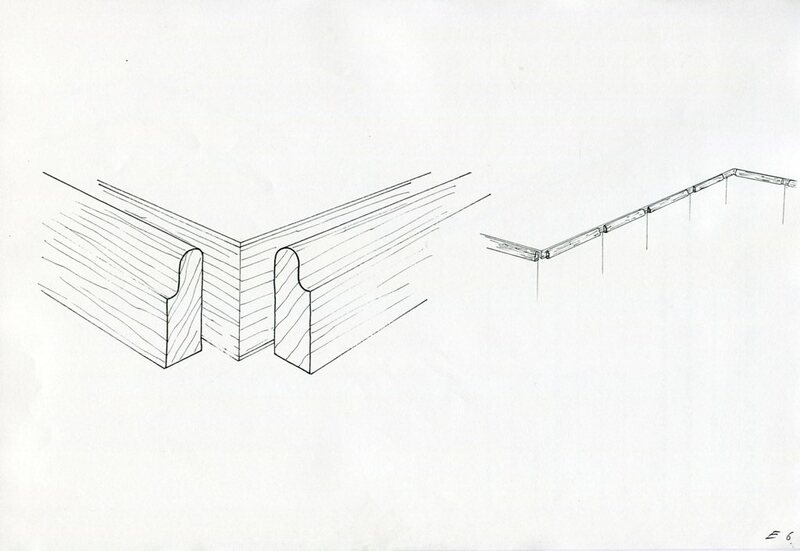 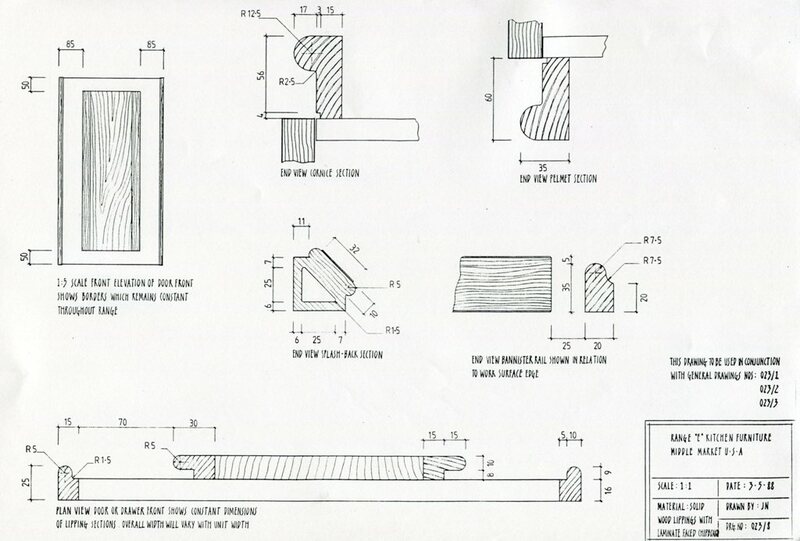 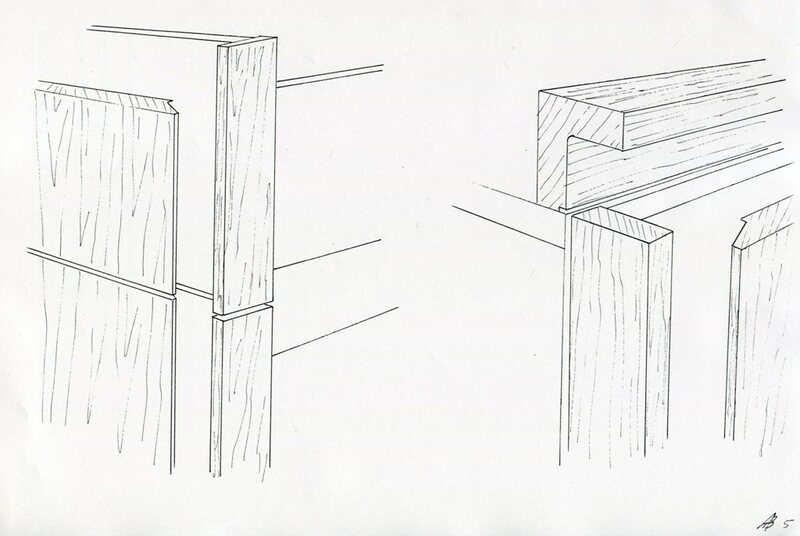 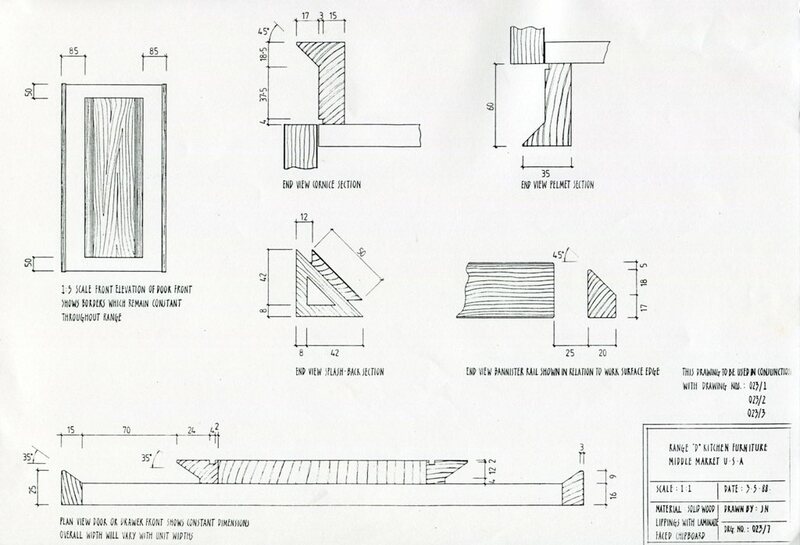 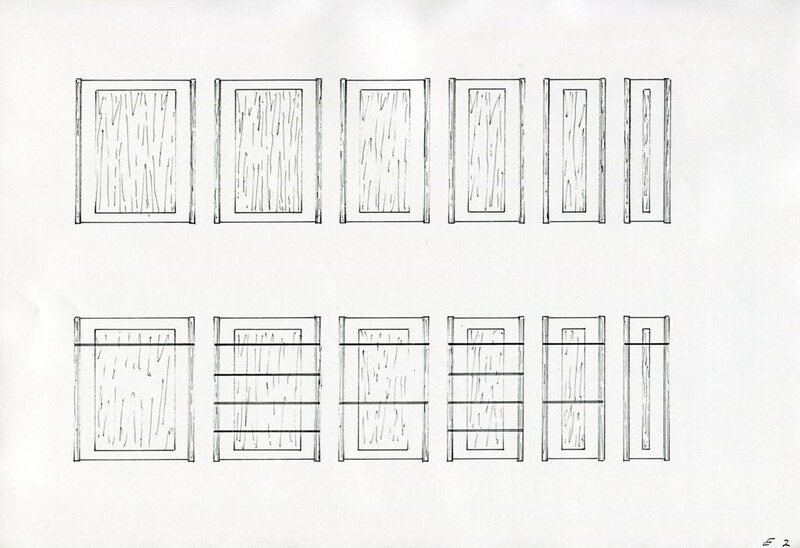 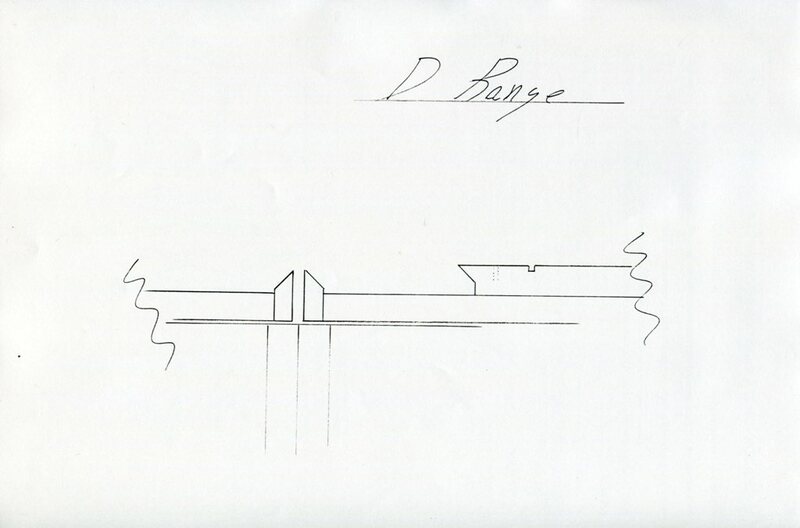 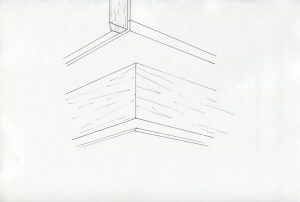 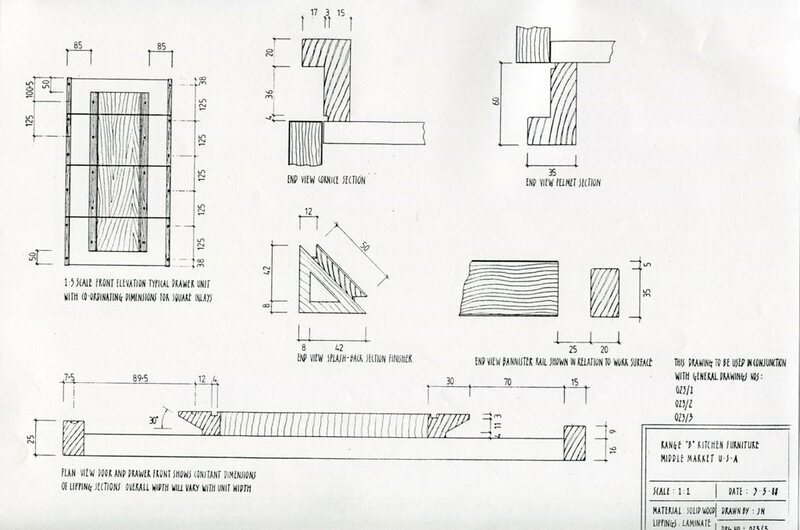 General arrangement drawings were produced to establish the component forms in relation to carcass construction and fitting details drawing no. 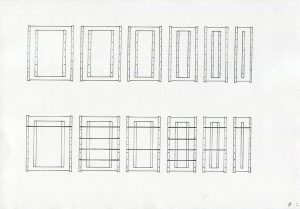 023/1-2-3 the consecutive drawings illustrate each of the range component details which determine the proposed ranges variations drawing no. 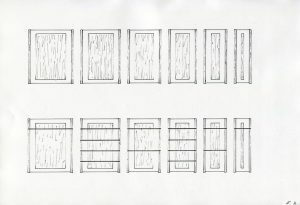 023/4-5-6-7-8-9. 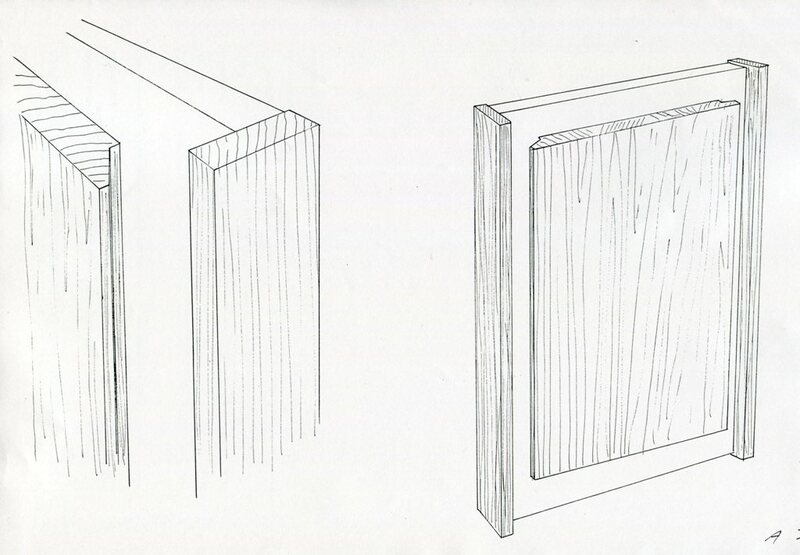 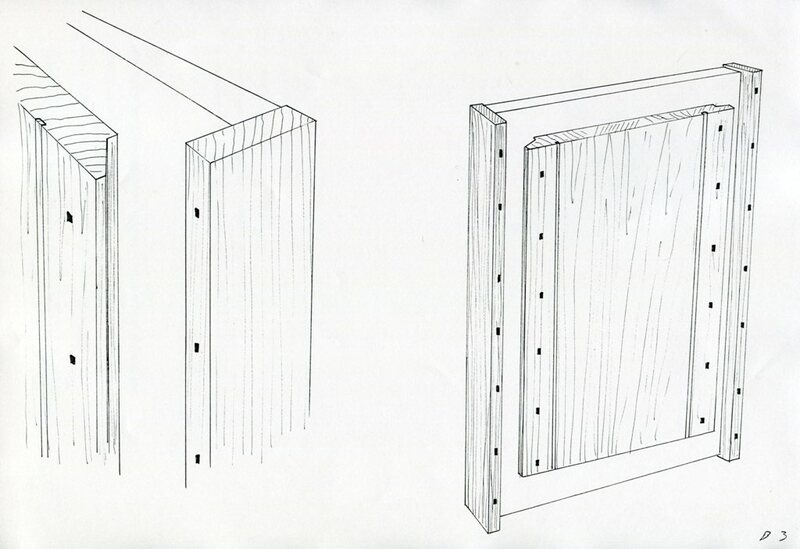 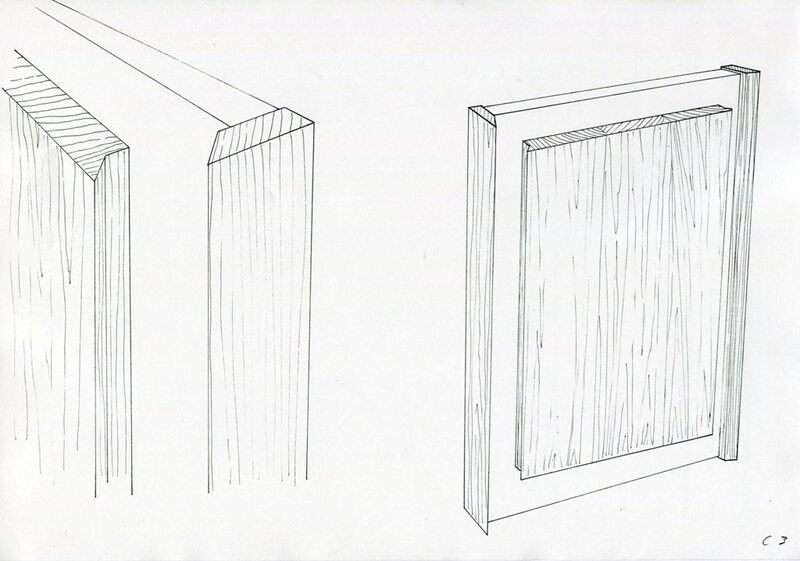 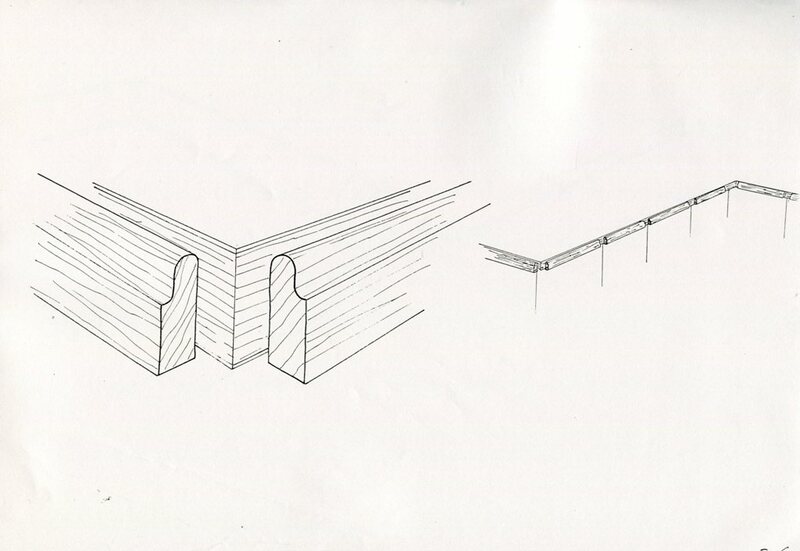 Finishes are implied only in the form of solid wood, wood veneer, laminate or melamine. 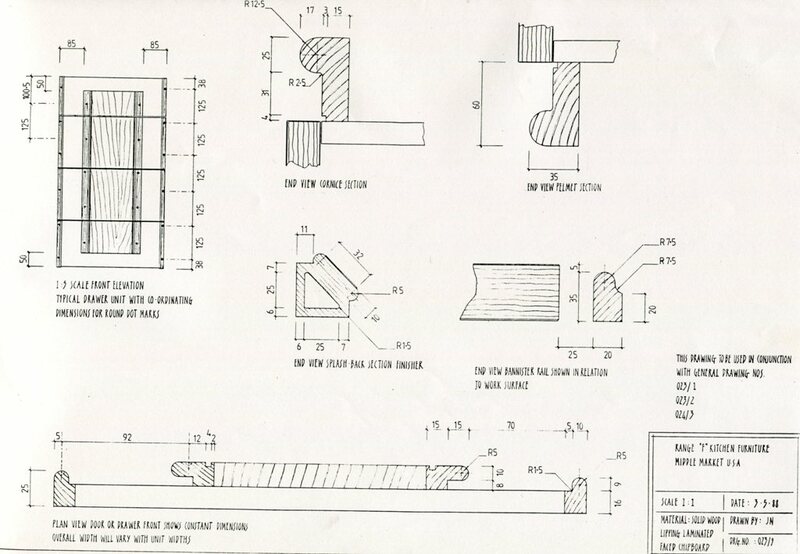 The work carried out in accordance with the terms of reference for this project will equip the user company with the potential to easily fabricate prototypes of each of the components comprising a range. 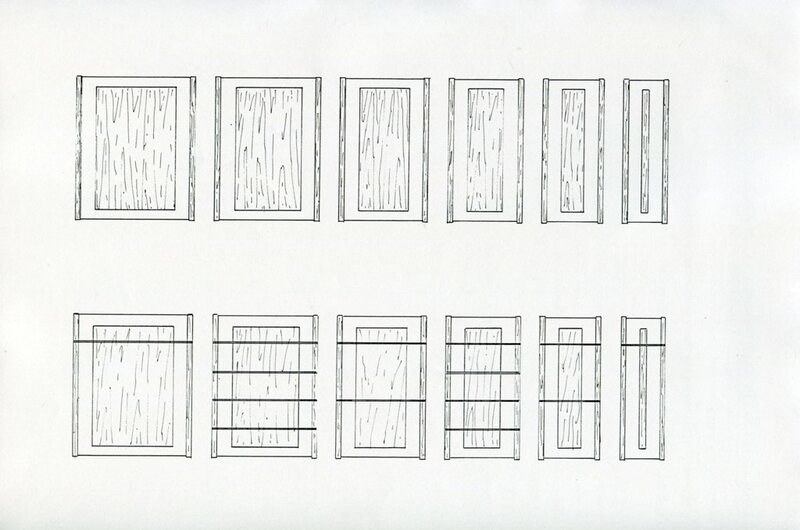 Variations can be tried, generated from the user company’s own market experience and research. 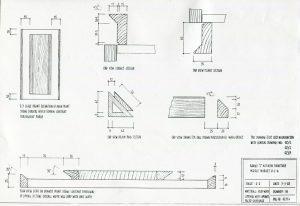 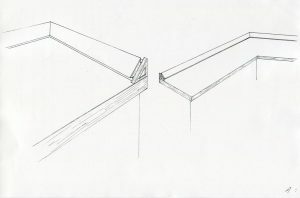 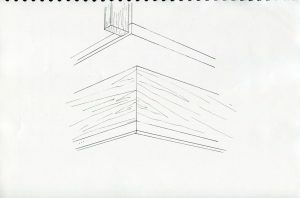 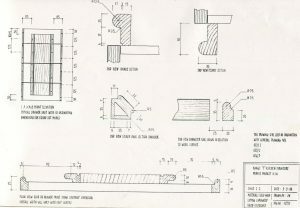 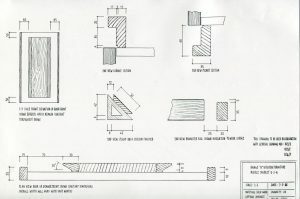 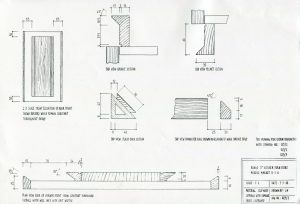 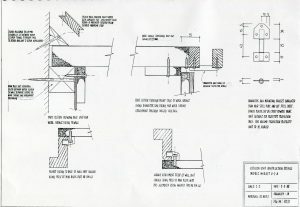 The fabrication techniques proposed are simple and conducive to mass production. 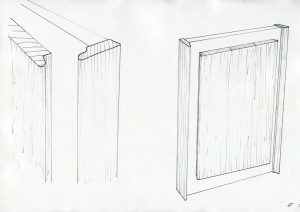 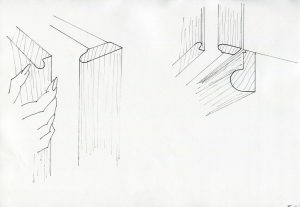 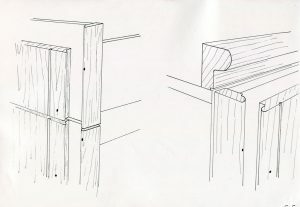 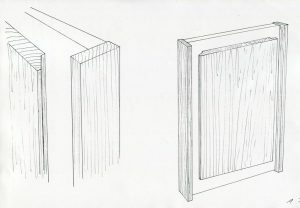 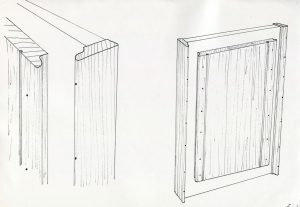 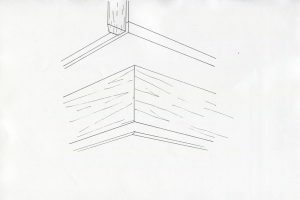 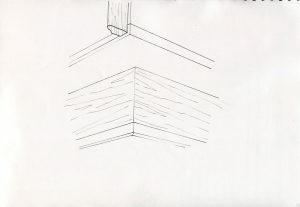 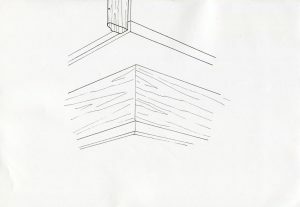 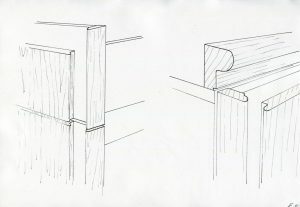 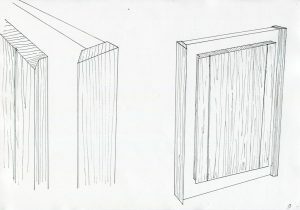 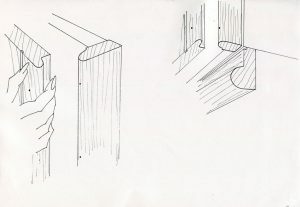 The finishes of the materials are not labour intensive, and no new-fangled finish or device has been proposed which might stifle the production or impose a precious technique which might prove expensive. 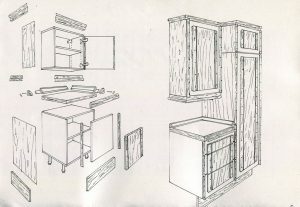 The essence of the designs are simple and appropriate to a middle market product which when markets has the potential of being manufactured profitably.